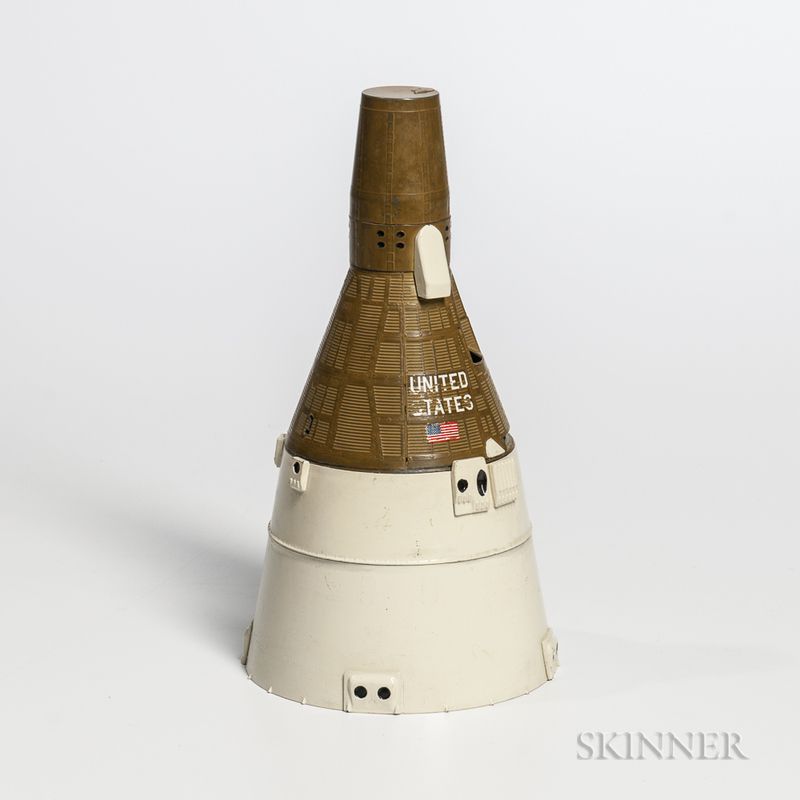 Gemini Spacecraft Model Signed by Wally Schirra, Mid-1960s. Gemini Spacecraft Model Signed by Wally Schirra, Mid-1960s. Gemini Spacecraft Model Signed by Wally Schirra, Mid-1960s. 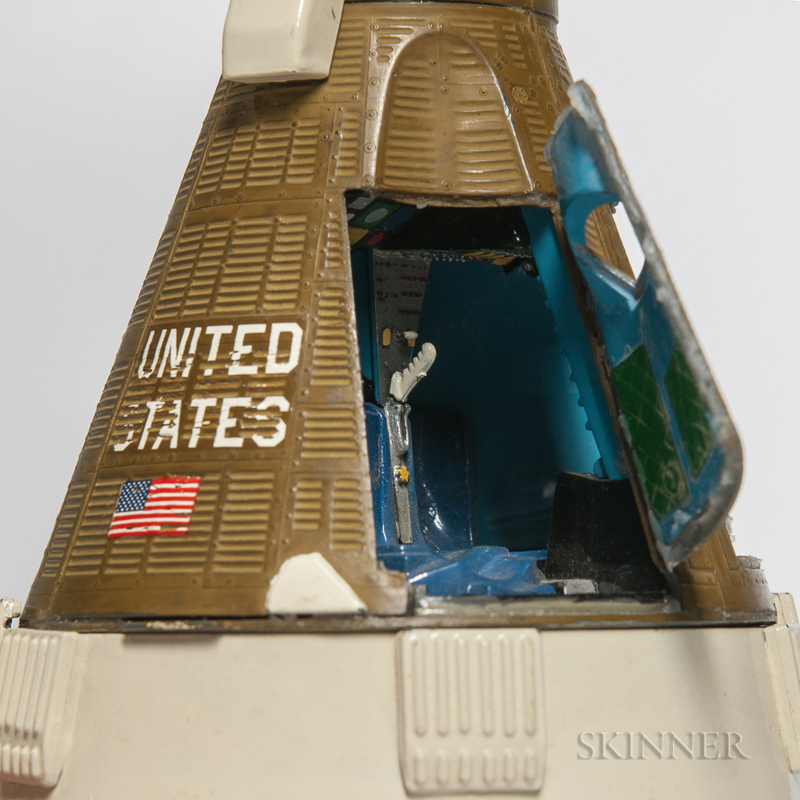 Scale model with many pieces, signed by Schirra on the bottom of the capsule, some wear and minor breakage, with two astronaut figures and other pieces, brightly colored, period patina, ht. 9 1/2 in.